Hello Crafty Divas! It’s Stephanie, a.k.a. @thecreativecrafter on Instagram. 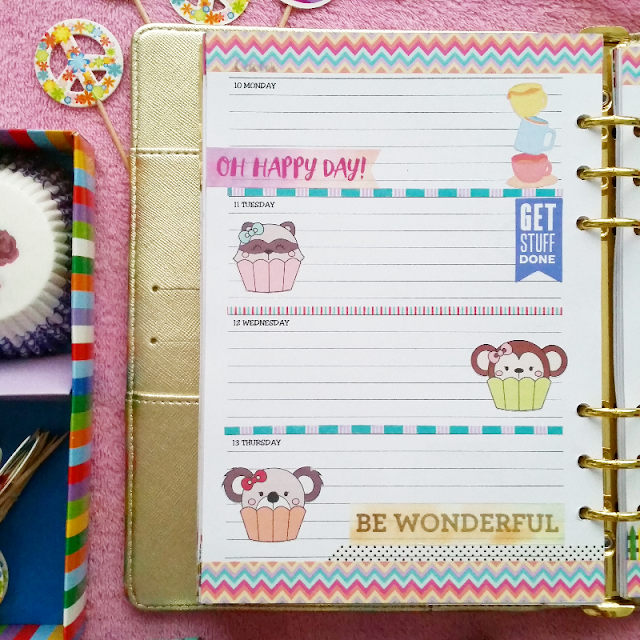 Brace yourself and prepare your sweet tooth! 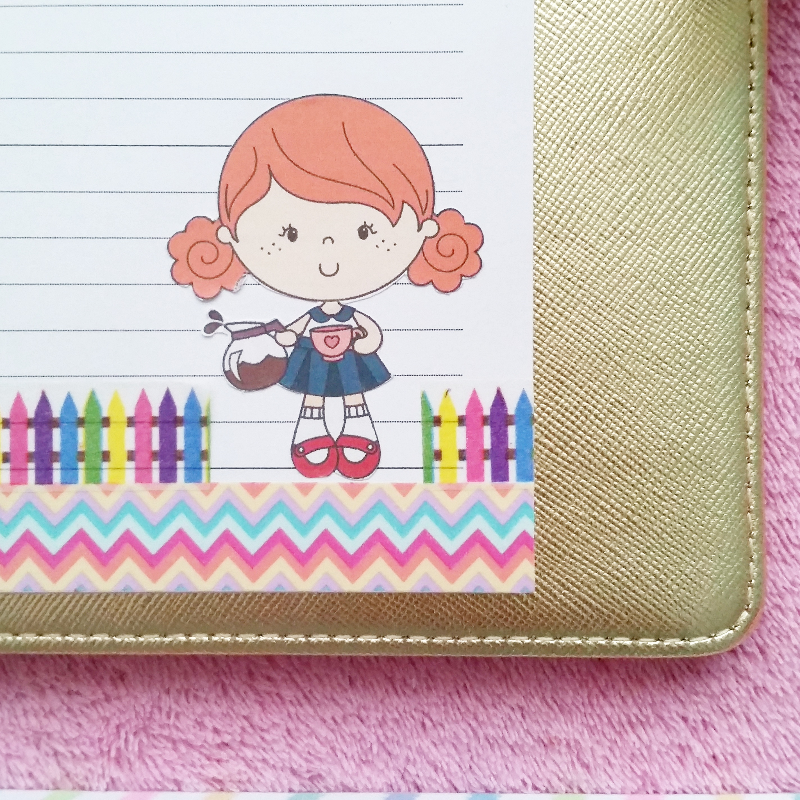 There is a tea party going on, on my A5 gold planner! LOL. 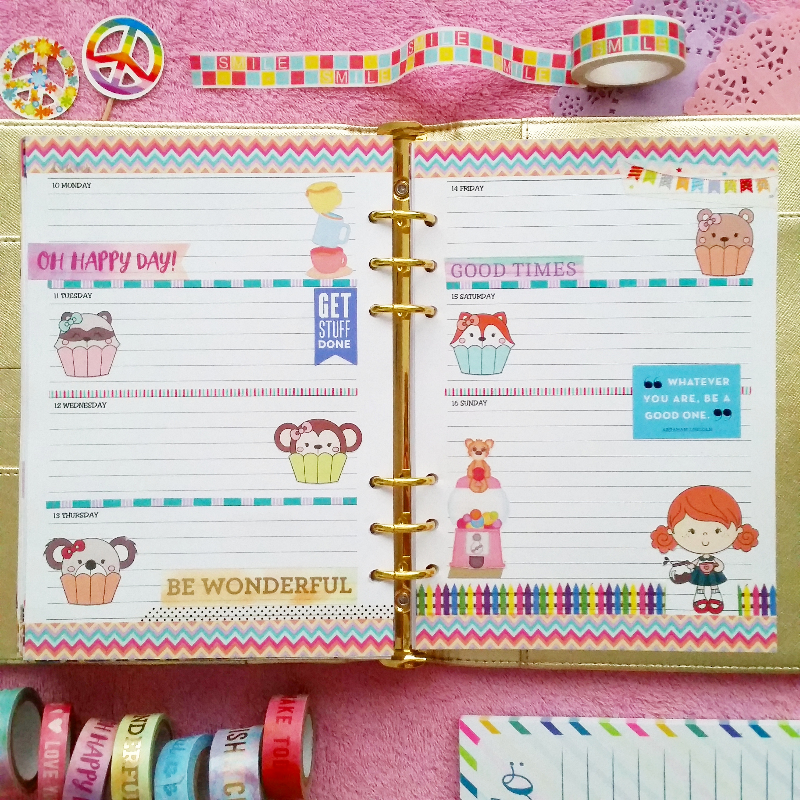 I had fun prepping up this week’s planner spread as it involves happy colors and cute little munchkins. And by munchkins, I meant those adorable cupcake animals digistamps from Craftin Desert Divas. All of the CDD digistamps I used are already digitally colored so all I did was resize them, have them printed out on a matte sticker paper and carefully cut the borderlines. Coffee anyone? Above is my personal favorite, the Coffee Pot Cutie Digital Stamp. Thank you for dropping by and I hope I made your day extra sweet!